If you are searching for ways to improve the loading speed of your WordPress website, a caching plugin can definitely help. Because the combination of a best WordPress cache plugin + best WordPress hosting + best WordPress theme can only make your website fast-loading. By creating a static version of your website, it allows your visitors to reach your website faster. With improved website speed, you can experience some valuable benefits like improved conversion rates and better search engine rankings. Do you know how much I have invested to grow this blog? Check out the tools I use to run my blog and look professionally perfect. You must invest in quality products used by top bloggers. I can help you to choose from. You can also check the deals page for monthly deals update. What is WordPress cache plugin? Conclusion: What is the best WordPress cache plugin? In simple terms, caching technology can help to create your website’s optimized version to serve visitors. E.g. if a visitor visits your website for the first time, it may take some time to load your entire website to his/her browser. But from next time onward, it will take very less time as the majority of the website resources are stored on that browser. This is just a type of cache example I gave here. There are various types of cache like server cache, browser cache, page cache etc. But the importance of a WordPress cache plugin for your blog is to help your website resources load faster for your visitors. Website speed is a key criteria to provide good user experience and also a key search engine ranking factor as well. So, if you are facing website speed issue, you must install any of these awesome WordPress cache plugins. But try searching for popular WordPress cache plugins and you’ll be presented with hundreds of different options. You certainly don’t want to waste time and try each of them to know how they improve the speed of your website. So, to make things easier, we have created a list of 7 of the best WordPress cache plugins that you should definitely try. If you do not mind paying for a reliable product, WP Rocket is an excellent option. A large number of WordPress experts agree that WP Rocket is indeed the most powerful caching plugin for WordPress. It is due to this reason that the plugin is installed in more than 500,000 WordPress websites. WP Rocket is also very easy to use and all you need to do is to install and activate it to experience a faster website. The plugin is currently available in three annual plans- Single ($39), Plus ($99), and Infinite ($199). The Single Plan can be used by a single website, Plus plan supports 3 websites, and the Infinite plan can be used for unlimited websites. If you have a tight budget or don’t want to pay for a WordPress cache plugin, the best option for you is W3 Total Cache. With more than a million active installs, W3 Total Cache is one of the most popular free cache plugins for WordPress and is recommended by publications and companies like Mashable, MattCutts, and AT&T. The plugin creates a static version of every single aspect of your website along with integrations for the content delivery network to help you offer better speed to your website visitors irrespective of whether you are using dedicated hosting or shared hosting. The plugin is completely free and claims to offer bandwidth savings of up to 80%. As far as active installations are concerned, WP Super Cache is the most popular with more than 2 million active installs. Just like other plugins, it generates a static HTML file of your WordPress website which is server by your hosting server when someone tries to access your website. As this static file can be served thousands of times, rest assured that your website visitors will enjoy a faster browsing experience on your website. The plugin uses 3 different ways of serving the cached files- Expert, Simple and WP-Cache to make sure that your website is ready for traffic spikes at all times. WP Super Cache is free and comes with default settings which you can easily adjust if required. With more than 60,000 active installs, Comet Cache is also a very popular WordPress cache plugin. The plugin creates a snapshot of all the pages, posts, links, categories, etc. of your website in real time to considerably improve the speed of your website. Moreover, it also allows you to control the cache clearing behavior of the plugin to make sure that you are able to use it just the way you like it. You can install and use Comet Cache for free. However, the free version lacks the advanced features that this plugin has to offer. However, while using the free version of this plugin, you can click on the “Preview Pro Features” button at the top of the plugin page to go through the advanced features and decide whether or not you’d like to purchase the Pro version. Cache Enabler uses a powerful disk cache engine to help you improve the speed of your WordPress website. It also displays the total size of the cache stored in the dashboard and allows you to manually or automatically clear the cache. It also supports responsive images and works with Autoptimize and WebP. Installed by more than 50,000 active websites, the plugin is available in 5 languages and is completely free. Cache Enabler is regularly updated and is ready to use. Just download the plugin and activate it from your WordPress dashboard to start using it. If you are new to WordPress or caching plugins and are looking for an easy-to-use cache plugin, WP Fastest Cache is the way to go. It offers fewer settings as compared to most plugins listed in the post but is still very powerful and efficient. For reducing the size of static files, the plugin minifies the CSS and HTML files. You can also disable emojis for your website which is known to slow down the speed. Hyper Cache is another great cache plugin for WordPress. The plugin is one of the few that are written entirely in PHP to help you get maximum speed for your website. Irrespective of whether you are using a cheap hosting plan or dedicated hosting, you are sure to experience an increase in the speed at which your website is accessed with the help of this plugin. With Hyper Cache, you also get a mobile theme which you can use for enabling caching with different layouts for desktop and mobile users. The free plugin is bbPress ready and also allows you to serve a cached copy of your website even to people who comment on various posts on your website. As you can see, all the top 7 WordPress cache plugins discussed above come with their own features and benefits. 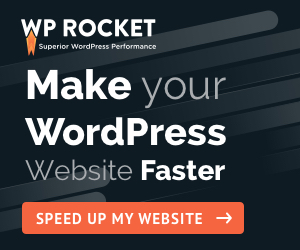 Free plugins are good to start with, but if you want to go ahead to achieve the extra page-speed and best bast caching experience then you must invest in WP-Rocket. Hey, I’m Santanu (Deb) ! I share useful tutorials on WordPress, Rank Math, Web Hosting, Affiliate Marketing & Speed Optimization. Don't want to miss my next guide? Affiliate Disclaimer: This post contains affiliate links and I will be compensated if you make a purchase after clicking on my links. This will not cost you a single penny extra. Thanks for the understanding and rewarding me for my hard work.